When thinking about taking on some of the more challenging trails in your Wrangler JK make sure you have the right equipment. 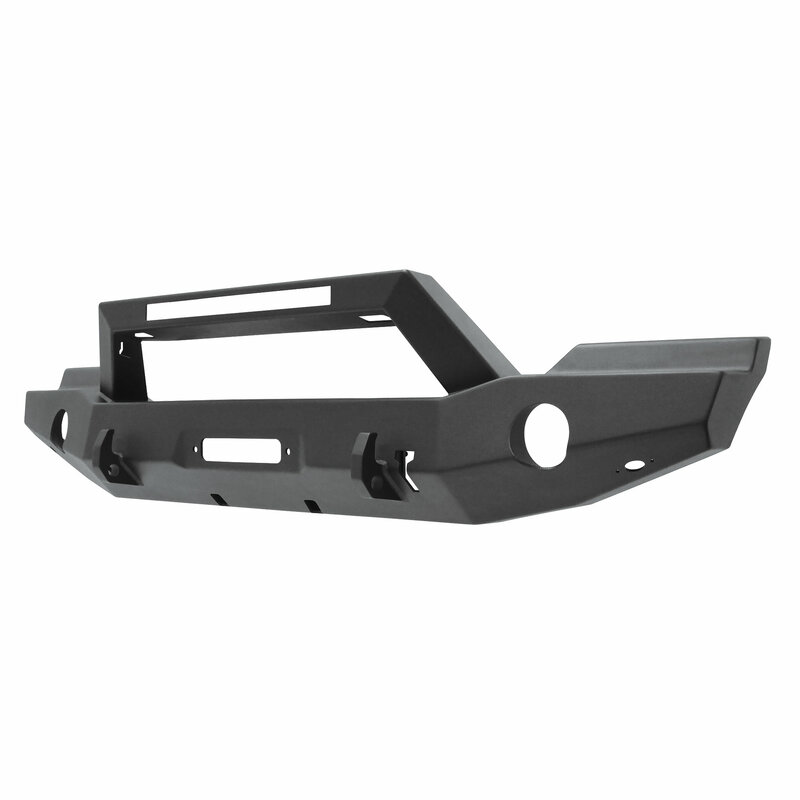 From larger tires to winches you need to make sure your bumper can allow for these things while providing amazing protection in the process. 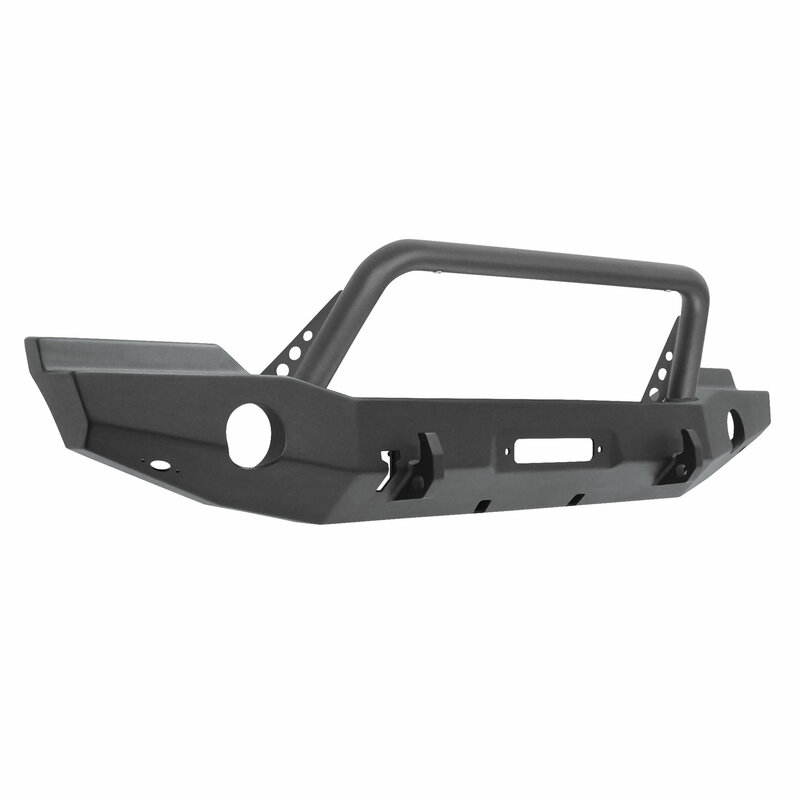 The WJ2 Full Width Bumper gives you all of this and more. 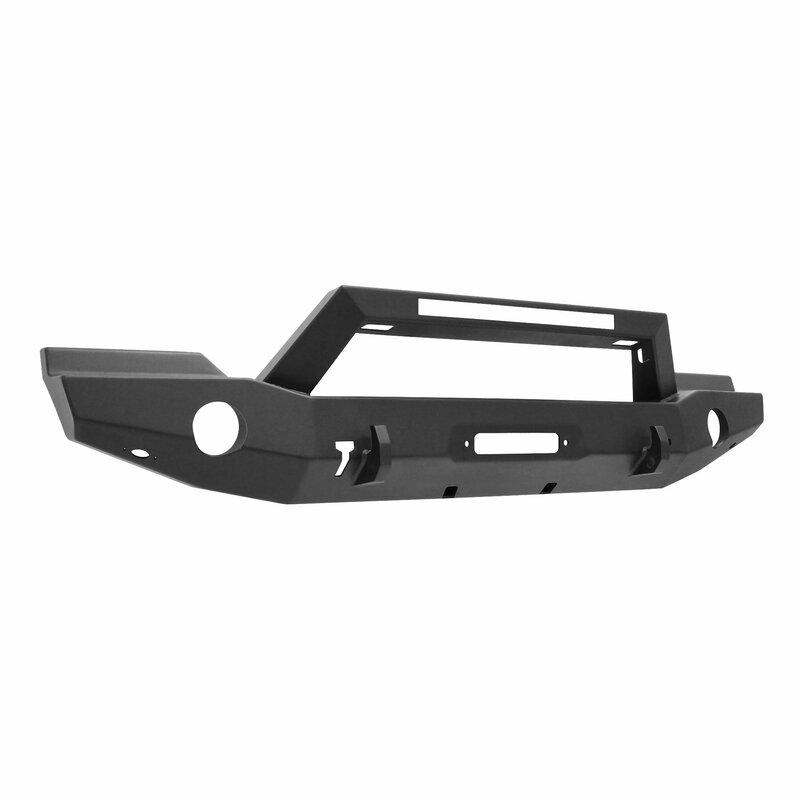 This bumper gives you fender to fender coverage while still giving you better clearance for larger tires and better approach angles. It also fits a winch inside the bumper so you maintain better airflow to your radiator. 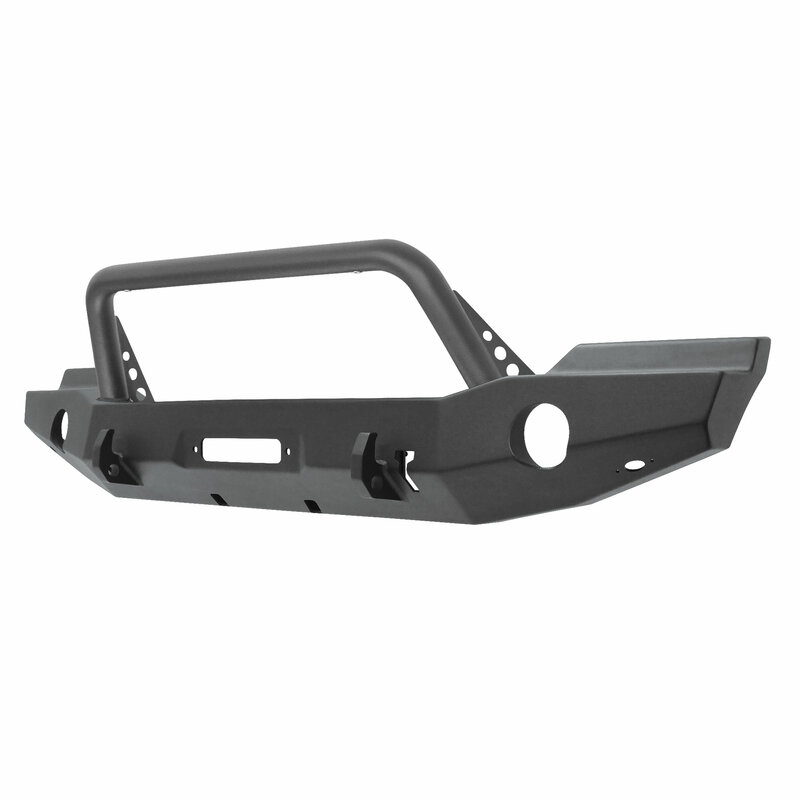 Comes in your choice of a bumper with no bull bar, with bull bar or with LED light mount. Options: Your choice of a regular bumper, a bumper with bull bar or a bumper with an LED light mount that holds 20" LED light bars. 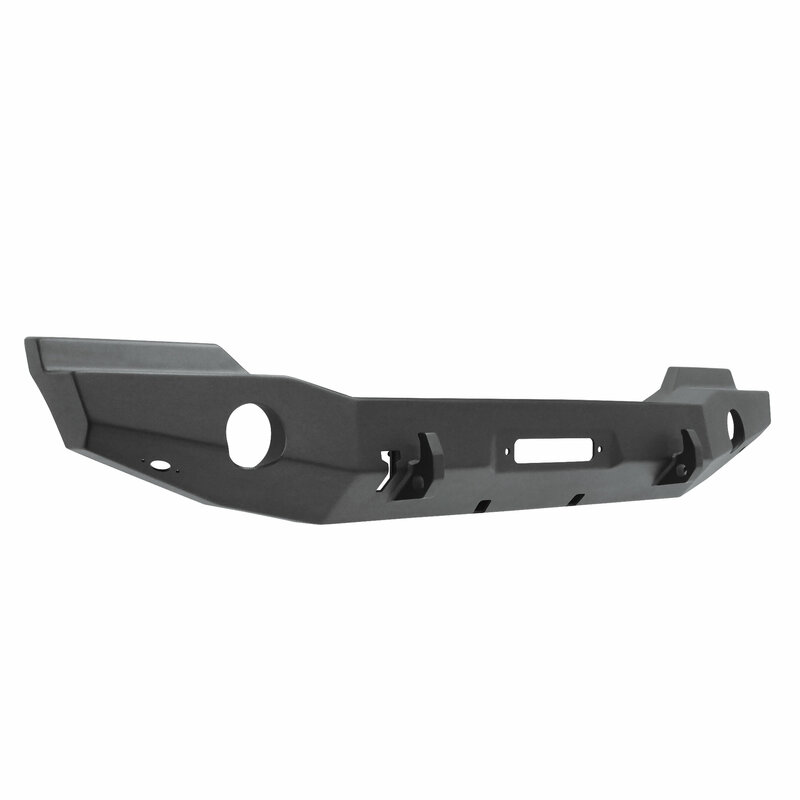 Features: Two side & two front jack points to help you out of a jam on the road or trails. 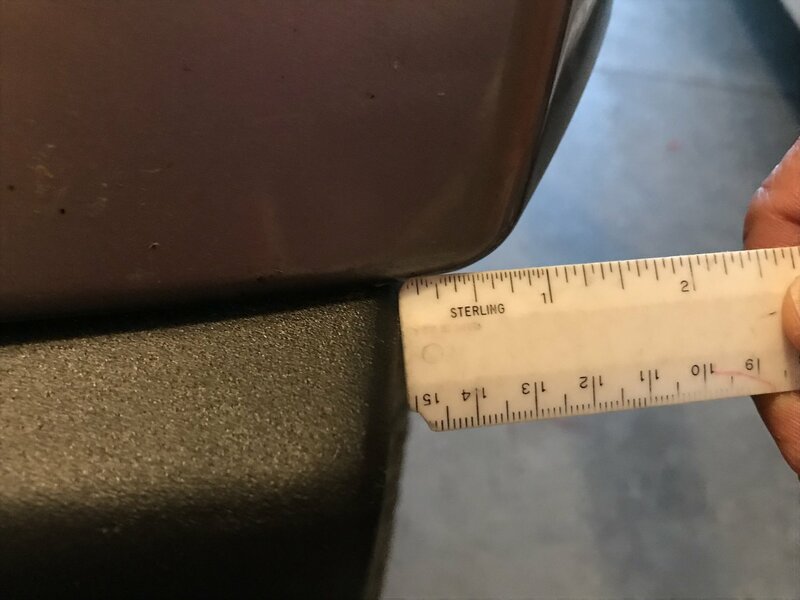 Add some extra lighting with corner light mount points to help see under your Jeep so you do not get caught up on a rock. Shackle mounts for added recovery points. 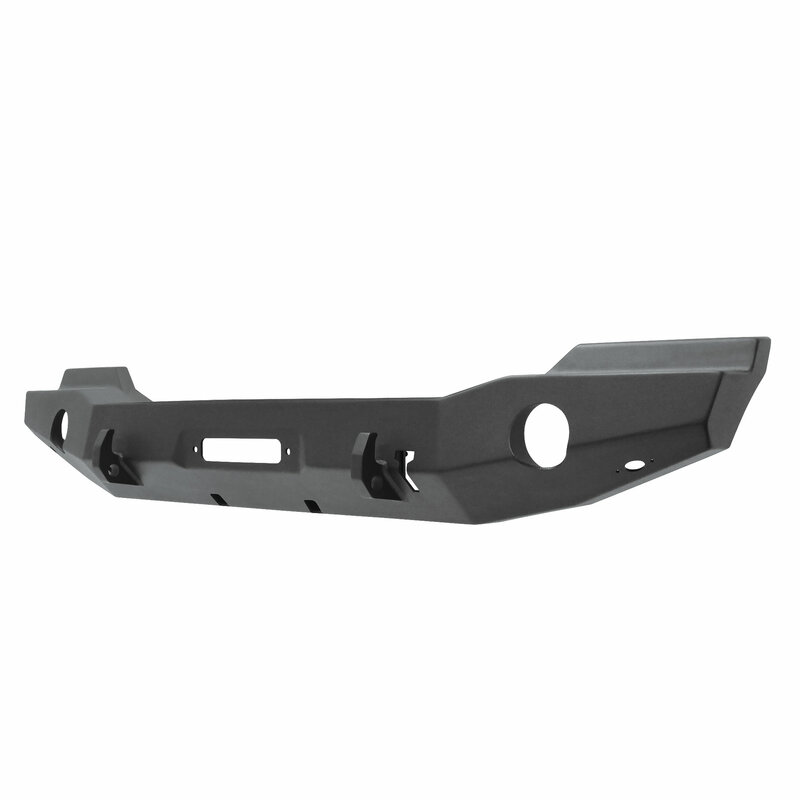 Construction: Made from strong durable 3/16" steel to protect your Wrangler JK from off-road debris. 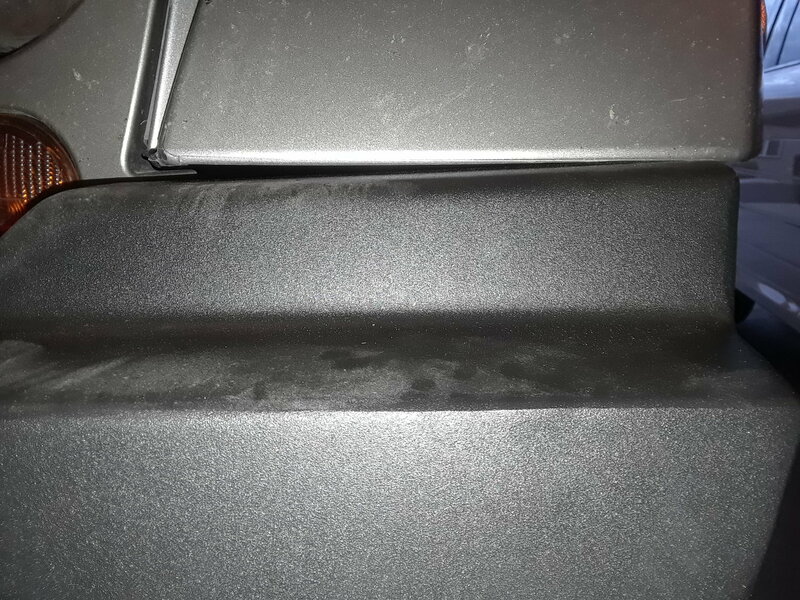 A slick looking powder coat to prevent rust keeping your bumper looking solid. Purchase a full width bumper and the installation was a nightmare. I had my neighbor, a master mechanic of a major auto company, assist me and it took us over six hours. The biggest challenge was the installation of the fog lights. 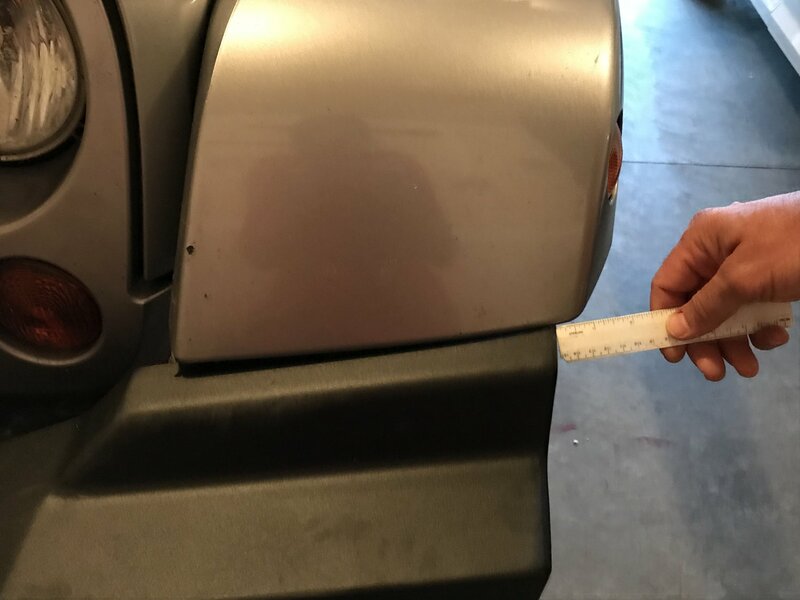 Your hand or tool cannot fit behind the fixture to hold the nut while tightening. We solved this problem by pressing the nut and washers into a piece of Styrofoam. Another issue is the fit. See the photos included that show both gaps. I would expect this type of fit if made in China; however, the bumper is made in the USA. Also, the instructions were poor and again having a mechanic was fortuitous. As for electrical, you need to extend the wiring for the fog lights. 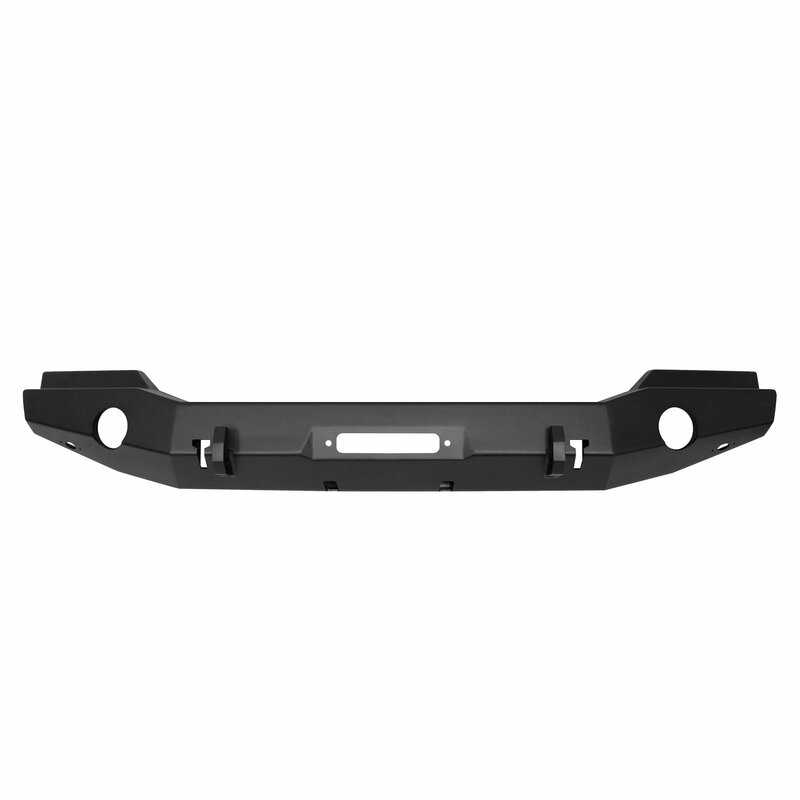 Once both issues involving the fog lights, installation and wiring, the bumper fit easily.